The Night Cat is one of the only places you can learn Salsa on Sunday and return the following weekend to show off your moves in a sultry, dimly lit venue that vibrates with the sounds of Latin jazz, Afro-funk and reggae. The Night Cat's live music offerings are unique in the already eclectic Melbourne neighbourhood of Fitzroy. On any given night you can listen to the Melbourne Ska Orchestra belt out the themes of your favourite TV shows or watch disco-revival group Honey entice partygoers onto the floor to dance the night away. It’s hard to believe that this unique venue could have wound up being a plumbing display store, which it almost did when it went up for auction in 2012. A neighbouring property owner put up $4.63 million to save The Night Cat from such an inauspicious fate. 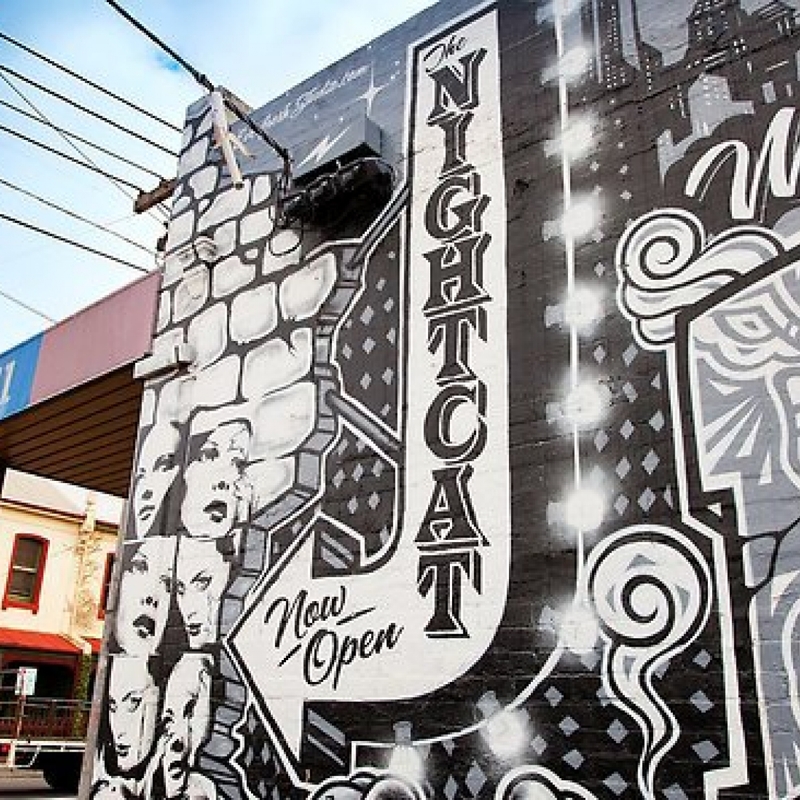 The desire to keep The Night Cat as a cultural spot shows how much Fitzroy residents value their culture. The Night Cat features a full bar but doesn’t have a restaurant attached. That is hardly a worry, however, as there are scores of restaurants in walking distance of the venue. You can grab crabs and craft beer at the Rochester Hotel or enjoy tapas at an establishment called Naked for Satan. Fitzroy has much to tempt your taste buds and test your sensibilities. If you catch the number 11 tram from Collins St to the Johnson St/Brunswick St stop, The Night Cat will be a minute walk away. If you're travelling by bus, routes 966, 200 and 207 also stop on Brunswick St which will place you a minute away from The Night Cat.